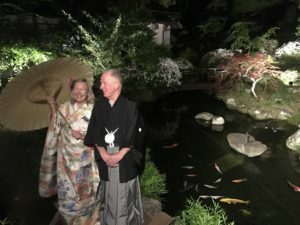 At Kakurinbo, we are always looking for interesting and fun ways in which to introduce Japanese culture to our guests. 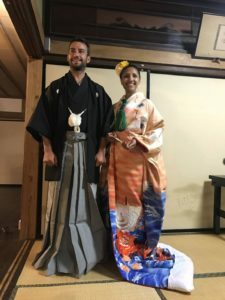 One of these ways is to show you how to wear an authentic wedding kimono. 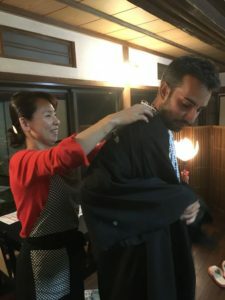 Kakurinbo has 10 such wedding kimonos, and all are available for guests to try on for free. 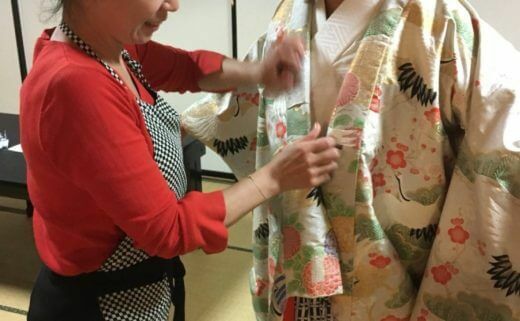 If you are not staying at Kakurinbo but would like to wear one of the kimonos, please contribute 1,000 yen, which helps towards cleaning and maintenance of the kimonos. 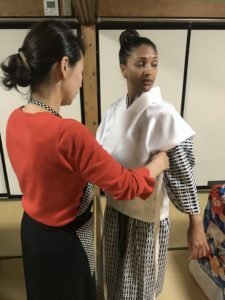 Our staff members will help you put on and style the kimono in less than 10 minutes. You may also use Kakurinbo’s garden, recognized locally as a cultural asset, as a backdrop for your photos. The pictures you take will be some of the best souvenirs you’ll have from Japan. Please ask about this special kimono opportunity when you arrive. It is sure to be one of your most memorable experiences in Japan.